“The year 2012 is the Year of the Dragon in the Chinese and Japanese 12-year cycle. I’ve always been rather fond of dragons, what with having been born in Wales, whose national flag centers on a red dragon. Since 1980, though, I have made my home in northern Nagano Prefecture, at the foot of a mountain whose name is Kurohime, which means “black princess” in Japanese. As legend has it, this dormant volcano is home to a black dragon, a shape-changer who, in the form of a handsome young lord, once won the heart of a princess. 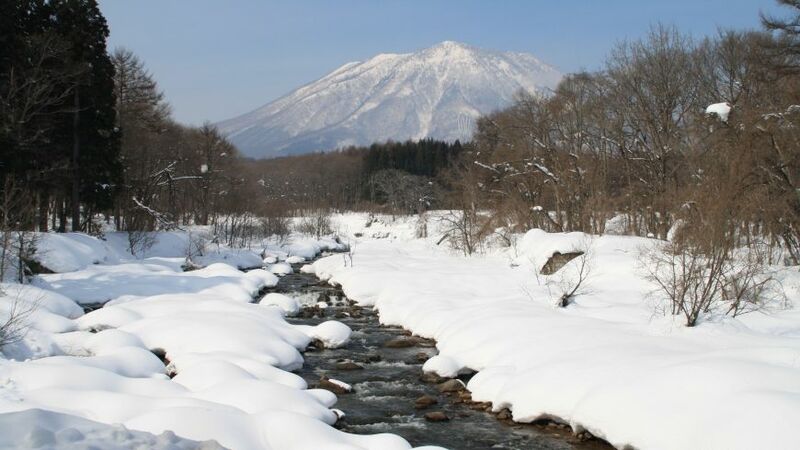 “With its variety of hiking trails and plethora of natural hot springs, the cluster of ancient volcanoes straddling the Nagano-Niigata border makes for an enticing destination, and Kurohimeyama 黒姫山 is a fine introduction to the area.